The ETSU Bucs scored five runs in the seventh inning to take the lead for the first time, on the way to a 9-3 win over the VMI Keydets in SoCon baseball action Saturday in Lexington, Va. With the win, ETSU clinched the #7 seed in next week’s SoCon Baseball Championship presented by Holston Gases and ensured that #8 The Citadel and #9 VMI would play in Tuesday’s first round, single-elimination game. Spot starter Kyle Staats carried a 3-2 lead into the seventh for VMI (22-32, 7-17 SoCon), but was lifted after a career-high six innings of work. ETSU (27-27, 9-15 SoCon) promptly scored five runs in the seventh, starting a spurt of tallying the last seven runs of the game. John Fuqua (0-1) took the loss for the Keydets after he gave up three of the five runs in the seventh, including the game-tying homer to Jammer Strickland that started the inning. Staats gave up just four hits over six innings, but got no-decision. The winning pitcher was ETSU starter Griffin Krieg (2-5), who allowed one earned run in six innings. The Keydets jumped out to a 1-0 lead in the first on a RBI single by Tyler Tharp. The hit was Tharp’s 72nd of the year, tying him for 10th on the all-time VMI single season listing. ETSU tied the game in the third, but VMI retook the lead in the fourth on a RBI single by Matt Pita. The Keydets then extended the margin to 3-1 on a solo homer by Jacob Jaye, his 10th of the year, and ETSU scored again in the sixth on a single by Blake Rowlett. Staats carried that margin through the end of his outing, but was removed after 78 pitches in just his second career start. Just two pitches into the seventh, Strickland tied the score with a solo homer off Fuqua, beginning the five-run rally. The Bucs added single runs in the eighth and ninth, and the Keydets were unable to score the rest of the way. The game was called due to severe weather with one out in the bottom of the ninth inning. Offensively, Jaye had the lone two-hit game for the Keydets, while four ETSU players had two hits apiece for the visitors. 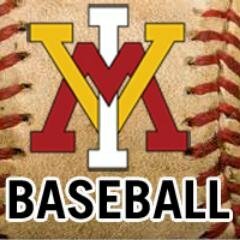 VMI baseball returns to action Tuesday, when the Keydets open the SoCon Championship against The Citadel. First pitch of the single elimination first round game is set for 10 a.m., and the contest can be seen on the SoCon Digital Network and heard in the Lexington area on AM 1450 WREL.